I know it's going to be pretty baron here, but here is a place to post high scores in Chiebura. My current high score is 271,400 89m. I was able to make it past the second boss. 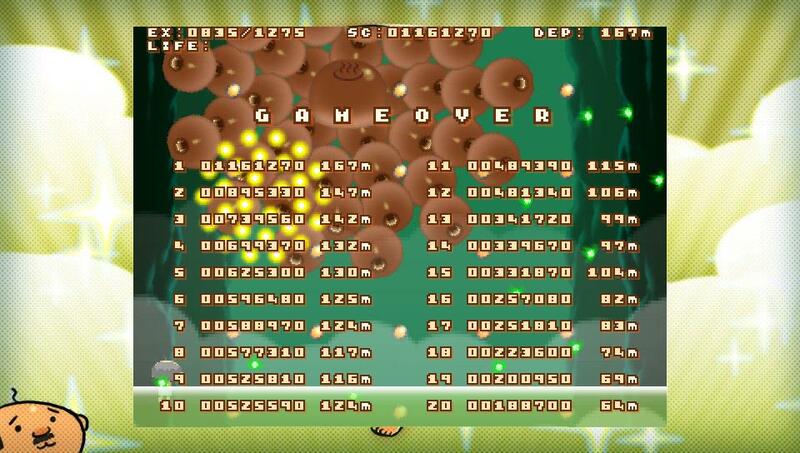 While trying to figure out space management on my tiny PSV memory card, I finally played Chiebura today. I should note, though, that Ofaliss' score above is still better than my #2 score (257,080 - 82m). 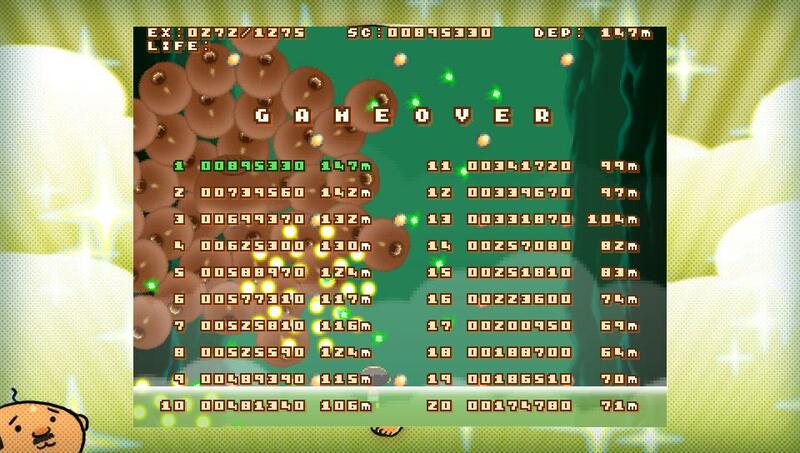 And, I'm not sure which boss it was that finally did me in, but my screen cap of the high score table shows he had 3 full layers around his core, plus at least pieces of a fourth (maybe it was a full fourth when the boss fight started?). However, I'm a looooong way from this guy's performance from 2006, on the PC version. Counterstopped at 9,999,999 (the PSM version has a 10 millions digit, perhaps because of people like this), and 541m depth! Geez. I think a large part of getting a super high score is neutralizing tons of enemy bullets with your indestructible gun, R-Type-style. In Chiebura, neutralized bullets become fruits, which when collected both yield points and, at specific totals, build up your heart reserves (life). Good gameplay and scoring system--I just wish aiming weren't so hard. Not bad, for having played only one other time since my last high score.